Tomás is a Senior studying Computer and Cognitive Science at the University of California, Berkeley. He was born in Lima, Perú, where he attended an international school. There, he was exposed to programming and fell in love with it, causing him to pursue it as a career. In the last few years, his interest in Human-Computer Interfaces has grown in proportion to his desire to pioneer the way we interact with technology. In particular, he's been unceasingly mind-blown by recent development in Brain-Computer Interfacing. This has definitely changed his life path, sculpting his passions towards deciphering the power of the mind. 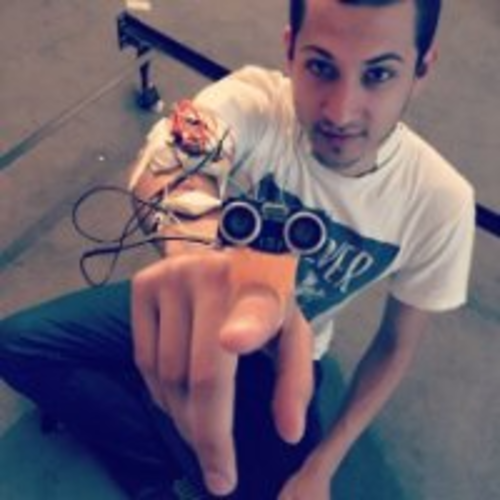 He is very passionate about the the intersection between software and hardware such as IoT, wearables, and especially, assistive technology. He enjoy making devices to enhance and extend sensory and motor capabilities, cognition, and learning. His long-term goal is to become a Cyborg and have unlimited working memory.